Testudo Times: Who’s up for a 2,000-word epic on the development of Nick Faust over the season? Faust started living up to his potential in the last four games. He’s scored effectively, distributed well and continued his lock-down defense. He even stepped up big to replace Pe’Shon Howard at point guard, where he struggled mightily in the first part of the season. This is just another story we hear constantly. 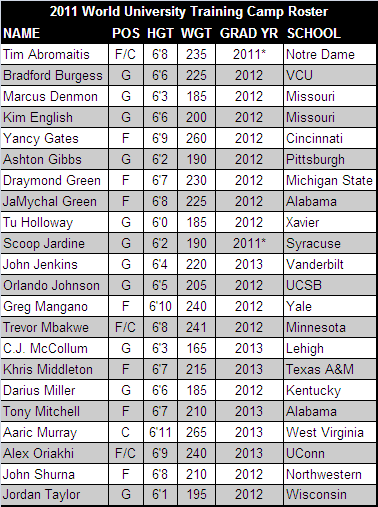 The fact is: Outside of the top 10 recruits, no one is a sure bet to succeed right away. The college game is bigger, faster and more physical than anything most players see in high school, and 24/7 recruiting coverage leads to sky-high expectations that almost always disappoint. Orlando Sentinel: The ACC Coach of the Year award is getting pretty interesting. If Florida State wins the regular season title, I don’t see how you give it to anyone other than Leonard Hamilton. If the Seminoles don’t win, I like Steve Donahue. If Duke wins out, there’s no doubt in my mind that the award should go to Mike Krzyzewski. I don’t think Krzyzewski will win it because expectations are always high for Duke regardless of the talent on the roster. Hamilton probably should be the front-runner, though Donahue has a legitimate claim to the award based on his work with the youngest team in the conference. Miami New Times: I think Miami needs to go 3-0 over its last three games to guarantee a spot in the Big Dance. Beating NC State and Boston College is mandatory. Beating Florida State would go a long way in the marquee win category. That said, beating a big fish in the ACC Tournament would work wonders too. Miami should get some leeway for a mediocre start because Reggie Johnson was out of the lineup, but the Hurricanes need to back up their win at Duke with another selling point for the Selection Committee. Carolina March: Deon Thompson just won MVP of the 2012 Slovenian Cup by leading Union Olimpija to victory. This team seems to be a popular destination for Tar Heels waiting for their shot in the NBA, as Danny Green recently left Union Olimpija after being signed by San Antonio. My favorite part of this article though is Thompson’s quote. The quote started in English and was translated to Slovenian before being transferred back to English. Needless to say the sentence structure leaves a lot to be desired. Streaking The Lawn: Here’s your chance to follow a rivalry game on Twitter retrospectively through the eyes of a Cavalier. Forget all this James Cameron-to-the-rescue talk. Given the speed with which he can plug holes, BP should hire Roy Williams. 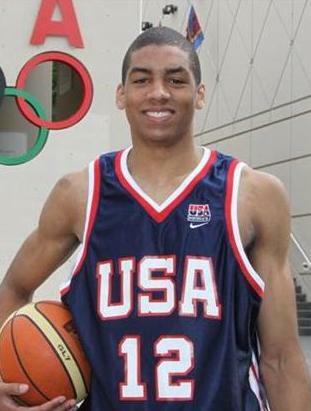 Yesterday brought news that James McAdoo, a 6-8 power forward and the third-ranked player in the ESPN-U 100 for the high school class of 2011, might decide to shorten his senior year of high school and enroll at North Carolina a year early, meaning he’d be available to play for the Tar Heels in the upcoming season, giving them the help that they need down low. McAdoo had already committed to UNC as a class of 2011 member, but needs only to finish some summer courses to meet the NCAA’s requirements for scholarship eligibility. His name should sound familiar. His uncle, Bob McAdoo, played a year for North Carolina back in the early 70s and went on to a Hall of Fame NBA career that included three scoring titles, two world championships with the Lakers in 1982 and 1985, and an MVP award in 1975. He virtually created the concept of a big man who could shoot effectively from the perimeter. James might hit Franklin Street a year earlier than expected. On May 25, we learned that Alabama’s Justin Knox will transfer (sort of) to North Carolina after finishing his degree over the summer. Knox happens to be a 6-9, 240-pound forward, and, because he’ll have finished his degree before next season begins, he will not be required to sit out a season before playing a final year in Chapel Hill as long as he chooses to enroll in a graduate program that Alabama does not offer. The University of Alabama’s Graduate School offers more than 120 graduate degree programs. Call us optimistic, but we’re betting Knox miraculously finds one out of UNC’s 89 that Alabama just doesn’t have. Just a few weeks ago, Tar Heel fans were lamenting an emerging vacuum in the post, having lost Deon Thompson to the passage of time, Ed Davis to the NBA, and then the Wear boys defected. It’s true, a lot of teams would relish a “problem” like having Tyler Zeller and John Henson as part of their front line. But while that might be a talented duo, it’s still a duo, and you can’t survive in the Patriot League, let alone the ACC, with just two post players. The hand-wringing was probably never as bad as it was made out to be, since top high school stud Harrison Barnes had committed to UNC a long time ago, and we’re sure he’ll provide more than his share of immediate excitement in Chapel Hill. Still, in hopes of shoring up the workforce in the paint, UNC made last-minute overtures to high schooler Kadeem Jack, but those went unfulfilled when Jack decided to go to prep school for another year. Tar Heel supporters were left thinking…What now? They can now sleep soundly, for those holes in the paint have been successfully been filled. Seriously, can somebody please make sure that Roy Williams has Tony Hayward’s number? In a move that’s caught a lot of Tar Heel fans — not to mention teammates and coaches — by surprise, David and Travis Wear are both transferring out of North Carolina. The two 6’10 Tar Heel forwards finished their exams this week, went back home to Huntington Beach, California, and their father called UNC head coach Roy Williams on Wednesday evening to inform Williams of the transfer. 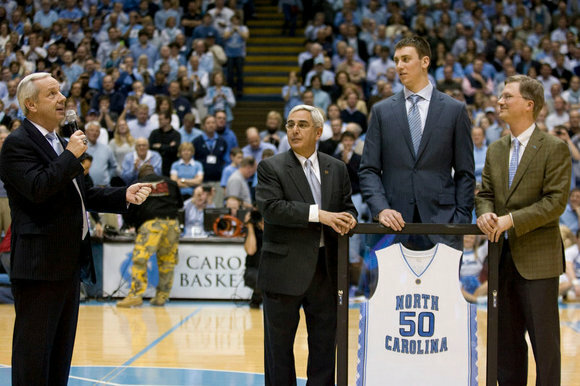 Having lost Ed Davis to the lure of the NBA and Deon Thompson to graduation, the Wear brothers’ departure leaves UNC with only two returning players taller than 6’6: 7’0 Tyler Zeller and 6’10 John Henson. There weren't many signs or omens that said they were going. That size deficit will be mitigated somewhat by the arrival of 6’8 forward Harrison Barnes, the top-ranked high school senior from this past year who announced — or rather, Skyped — several months ago that he’d be attending UNC in the fall of 2010. The Wears have not publicly commented on their transfer, but it’s doubtful that this was a playing time issue. Both Travis and David averaged about ten minutes a game last year, and Barnes is the only post player in the Heels’ incoming freshman class. With Zeller and Henson splitting minutes at center and Barnes at one forward, there were minutes to be had at the other forward spot. This had been circulating on some message boards for several days, but now that it’s happened, the question arises as to where these fellows will land. Their California roots suggest the Pac-10 will benefit, and UCLA, Arizona, Stanford and Washington were listed as the other finalists for their services besides UNC when they were high school seniors. The UCLA option is particularly interesting; the Bruins have 6’9, 320-pound forward Josh Smith arriving on campus for next year, and the addition of the Wear boys after their mandatory transfer sit-out season would make Ben Howland a very happy man. Of course, there’s always the chance that they’re tired of being called “The Wear Twins” and will each choose their own school in hopes of forging their own unique path. Wherever they end up, the program(s) that signs them will be getting, by all accounts, a couple of quality kids in terms of character and work ethic as much as basketball potential. NIT Semifinals. It’ll be two teams that expected to be playing in late March this season in the NIT finals on Thursday night; it’s just that they probably thought they’d be playing in the NCAA Tournament rather than the Granddaddy of postseason tourneys. With wins tonight, Dayton and UNC prove, however, that a disappointing regular season doesn’t have to mean that you pack it in if you’re invited to one of the lesser tourneys. If you’re Roy Williams or Brian Gregory, you keep playing the games in the hopes that your young players will benefit from the additional reps and learn about how to win games in a tournament setting. There’s a fair amount of precedent for this ultimately helping teams who made nice runs to the NIT finals in recent years (e.g., Baylor last year, Ohio State in 2008, WVU in 2007), so maybe we’ll see the Heels and Flyers back in the Dance next season. #3 Dayton 68, #2 Ole Miss 63. Brian Gregory is well on his way to becoming the next Dave Odom with his record moving to 6-1 in the NIT with two appearances in the last three seasons. Dayton got 22/10 from Marcus Johnson and 9/11/5 assts from Chris Wright despite the two combining to shoot 6-23 from the field. The team they defeated, Ole Miss, was eliminated in the semifinals for the second time in three years. Dayton will play North Carolina on Thursday night in a game that they’d surely like to win to improve the program’s standing. #4 UNC 68, #3 Rhode Island 67 (OT). Roy Williams’ team continues to gain valuable experience winning close games in a tournament setting, and his young players have the coach one step closer to his third ‘national championship’ as the top Heel. Deon Thompson had 16/13 and Will Graves 14/7 in a defensive-minded back-and-forth contest that was ultimately decided when URI’s Lamonte Ulmer was heading upcourt after a defensive rebound and was seemingly tripped by a Carolina player but there was no call. 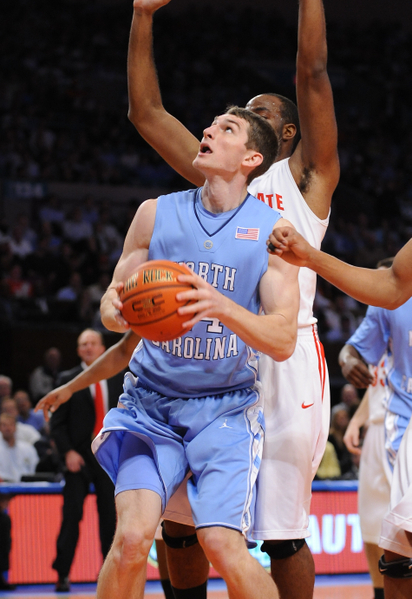 UNC will shoot for its second NIT title (1971) in program history on Thursday night. News out of Chapel Hill indicates that Tyler Zeller will be returning to action for UNC today at Boston College after sitting out a month with a stress fracture in his right foot. By now, everyone is familiar with the Tar Heels woes this season, which will most likely end in the NIT assuming they manage to win two of their last five games (yeah, it does sound crazy that they could actually finish below .500 and not qualify for the NIT). However, when Zeller injured his foot just prior to the Heels game against Clemson, they were 12-4 and #9 in the country despite a shocking (at the time) loss to Charleston. Following Zeller’s injury the Heels were blown out by the Tigers losing 8 of 10 games and reached a point where Roy Williams compared this season to the earthquake in Haiti. With the loss of Ed Davis and Travis Wear for the rest of the season, the Heels could use Zeller on the inside even if his game and minutes will be a shell of what they were earlier in the season. While we don’t agree with Williams who said of his team, “There’s no doubt in my mind that I’m still confident [Ed. Note: We’re not exactly sure what that phrase actually means] we can go on a run and be in the [NCAA] tournament,” UNC fans could use a bit of good news and seeing Zeller have a solid return should give them hope for next season when they return most of their team except for Marcus Ginyard and Deon Thompson while they add a solid recruiting class that is headlined by Harrison Barnes. Syracuse Survives. 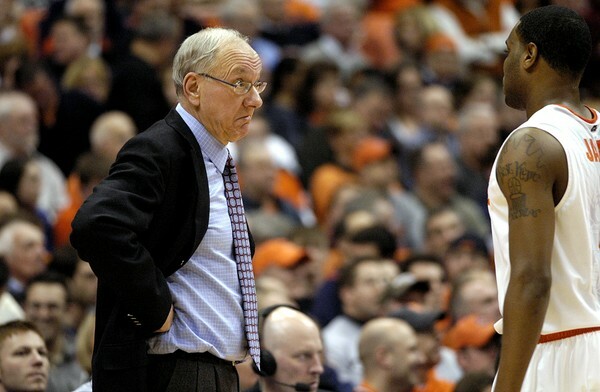 #3 Syracuse 72, Connecticut 67. Widely considered the undercard for another rivalry game later in the evening, this one was utterly predictable for about the first 28 minutes. Isn’t this close to the pattern you assumed, as well? Connecticut would keep it close for a half, a Syracuse run somewhere in the middle of the second half would put it away, and the announcers would lament for the duration about UConn’s disappointing season and the effects of the loss of Jim Calhoun while the home viewers got their refreshments ready for Duke/North Carolina. Sound about right? Connecticut played their role perfectly until there were 14 minutes left, the score 50-34. The Huskies got themselves back in it with a fantastic 17-4 run over a six-minute period, and Jerome Dyson (19/8/5/2 stls) completed the comeback with a three-pointer to tie it at 65 with 2:38 remaining. You’ll hear a lot about a controversial time-out that was credited to Syracuse at this juncture, and who knows. Eyes belonging to supporters of each team will see it differently, but it’s our stance that it wouldn’t have mattered in the end. Connecticut still had a Dyson three in the air to take the lead with 22 seconds left at 67-65, but it was Kris Joseph (14/6/2 stls) who pulled down the rebound and managed to hit his next four free throws to help the Orange finish it. The big questions from this game: is Syracuse one of the top four teams in the nation (i.e., deserving of a one-seed)? Did Connecticut show themselves to be one of the top 64? As concerns the Orange, the answer is yes, and their status as a presumptive #1 seed is not news. That probably wouldn’t have changed even with a loss. As far as Connecticut goes, it’s more an issue of a golden chance squandered. They have seven games left and stand at 14-10 and 4-7. This would have been the ultimate signature win, and it would have come on a night when other bubble teams around the country also hurt their own causes. As it stands, just to get to .500 in the conference race, UConn has to go 5-2 over a stretch that includes four road games — and they haven’t won on the road all year (0-6). And that would only have them at 19-10 and 9-9 going into the Big East Tournament. They have one more chance for a win that would give the NCAA committee something to think about: this Monday at Villanova. Lose that one, and it’s Big East Tournament or bust. Carolina is Cooked. #7 Duke 64, North Carolina 54. This game had little of its usual luster given the troubles that Roy Williams’ Tar Heels have endured in recent weeks. UNC came into this game having lost three in a row, and six of seven, and the conventional wisdom surrounding this game was that Carolina needed to win both Duke games (and a whole bunch in-between) in order to have enough of a resume to make the NCAA Tournament for the seventh straight year. Didn’t happen, and wasn’t ever going to happen. Sure, the game was close for 34 minutes of action, but eventually the better team started making their shots, and as soon as that happened it was lights-out for the home team tonight. Jon Scheyer led the Dookies with 24/5/4 assts and Kyle Singler added 19/9, but the game was an ugly affair, as both teams shot the ball in the low- to mid-30s in terms of percentage. The difference was marginal, as Duke did things just a little better than Carolina, whether it was rebounding (+11), taking care of the ball (-4 TOs) or hitting their long-range bombs (9 vs. 5). A few questions came to mind in this one as we once again watched UNC struggle to put up points. 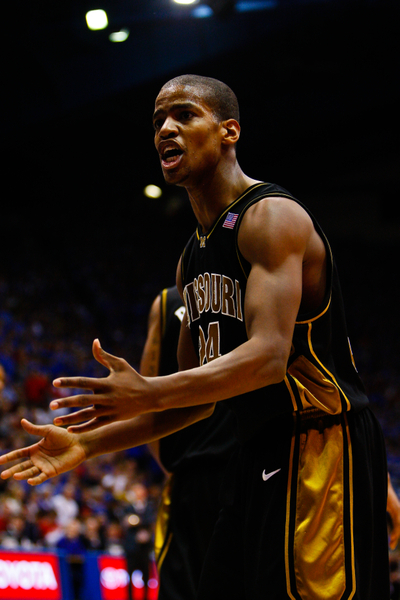 First, who decided that Larry Drew II (11/4/4 assts) is the go-to guy? LD2 chucked fifteen shots at the rim, making only four (and 1-8 from three), and often times it appeared that he really believed that the best available play was to call his own number. By the same token, how Ed Davis (4/5/6 blks) only gets four shot attempts (making two) is beyond comprehension. Drew in fact took more shots than his entire starting frontline of Davis and Deon Thompson (10/4 on 3-7 FGs), both of whom have more offensive abilities in their kneecaps than Drew does. It was reported today that Roy Williams made a horrible analogy comparing his team’s struggles this year to the disaster that killed nearly a quarter-million people in Haiti, but it seems that he may want to spend a little more time explaining to his players what a good shot actually looks like rather than making silly comparisons about what will likely be his first non-NCAA Tournament season in his coaching career (when eligible). The Wacky A10. Dayton 75, Charlotte 47 Despite holding the A10 lead alone coming into this one, Charlotte was a popular pick to be the most likely team out of the top five in that conference to be left out of the NCAA Tournament, failing an Atlantic 10 Tournament title. They didn’t help their cause tonight. Rather, Dayton helped their own. Chris Wright just exploded for a career-high 30 points and fueled a 23-7 run over the first part of the second half for which the 49ers had no answer. Dayton was up by only three at the half, 30-27, but Wright had no intention of letting this one stay close, accounting for 15 of Dayton’s first 18 points of the second half with three three-pointers, two dunks, and a pair of free throws. All is not lost for Charlotte, who now stands in a three-way tie with Richmond and Xavier at 8-2 in the conference; there are four other teams (including Dayton) within a game and a half of those leaders in a conference race that’s going to be a thriller to the very last. North Carolina’s Travis Wear was seemingly gaining confidence and comfort with his role on the current UNC squad with every game in which he appeared as the season progressed. Through a combination of his own progression as a player and some team injuries, Wear had worked his way up to being Roy Williams‘ first or second option off the bench. That’s going to have to wait, now, since Wear went up for a rebound during practice on Tuesday and came down on a teammate’s foot, spraining his left ankle badly enough to where he will not play against Duke on Wednesday. Imaging showed no fracture, but he’s said to be out indefinitely. We’re guessing, though, that “indefinitely” in this case won’t be very long. We’re assuming this is a simple inversion sprain (where the ankle “rolls” and the bottom of the foot goes inward) as opposed to the slightly more serious eversion sprain (where the bottom of the foot goes outward as the ankle gives way). We know there’s no fracture. That said, Wear is looking at several days of what doctors (and eighth-grade health class teachers) call RICE therapy. That is: Rest, Ice, Compression, and Elevation. Put less elegantly, Wear will stay off the ankle, ice it down, wrap it up in something like an ACE, and keep that baby on a couple of pillows as he watches practice or chills in his room. Throw in some anti-inflammatories, a couple of tricks from the UNC medical staff — make no mistake, these trainers and team docs are a crafty bunch — and some exercises to get back the flexibility and strength to the area, and we bet Wear will be good as new in no time. You know what else helps injuries heal? Winning. We’re wagering that if UNC pulls off a stunner against Duke tonight and then grabs another win at home against North Carolina State this Saturday, that ankle will feel immediately better. We’re not saying Wear is milking the injury at all. We’re saying that if UNC reels off a couple of big wins and is suddenly back in the NCAA Tournament conversation, he’ll want to get back as quickly as he can to help. Either way, this means Heels like Deon Thompson, William Graves, and Ed Davis will have to play a few more minutes and avoid foul trouble, or a couple of Travis Wear’s fellow freshmen — specifically John Henson and Travis’ brother David Wear — have just become more important to the Tar Heel cause.